GET IT! I shot a guy threw a hole with that exact BT barrel. I recently got a Lapco also. Both are amazing. 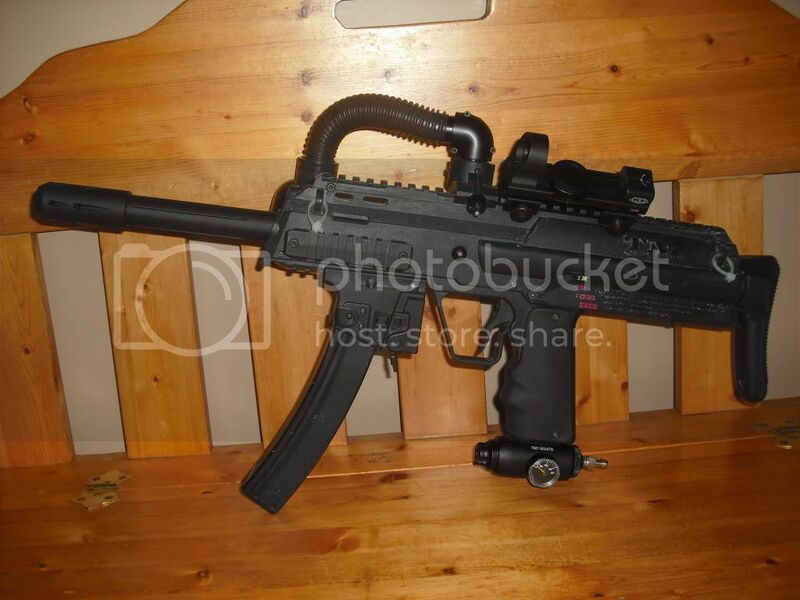 I have the exact barrel on my MR2 but with the AK47 shroud. As long as you match paint (it likes a bigger bore size) the thing is decent. Honestly, with cheap stuff like JT tac my barrel is accurate enough to hold it's own on the field. 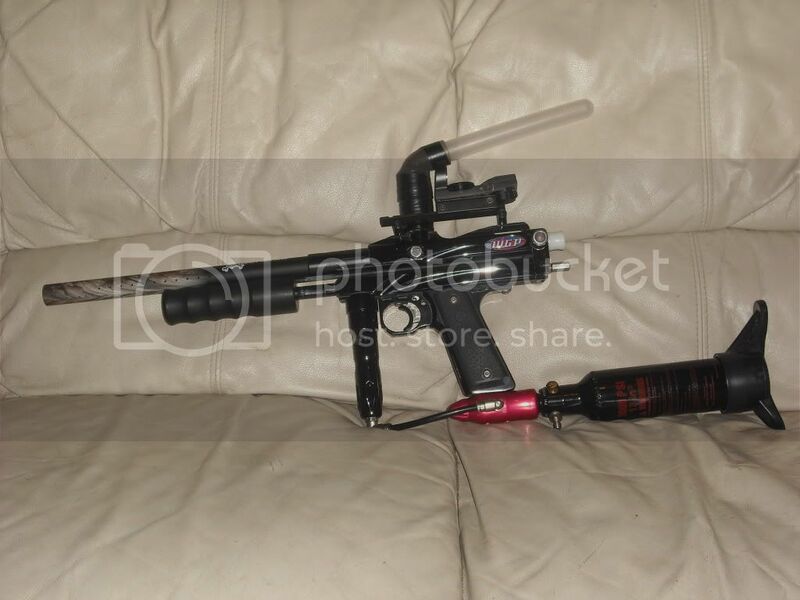 The only thing I don't like about it is the barrel is 16" long with the Apex tip, so getting behind cover is a pain. 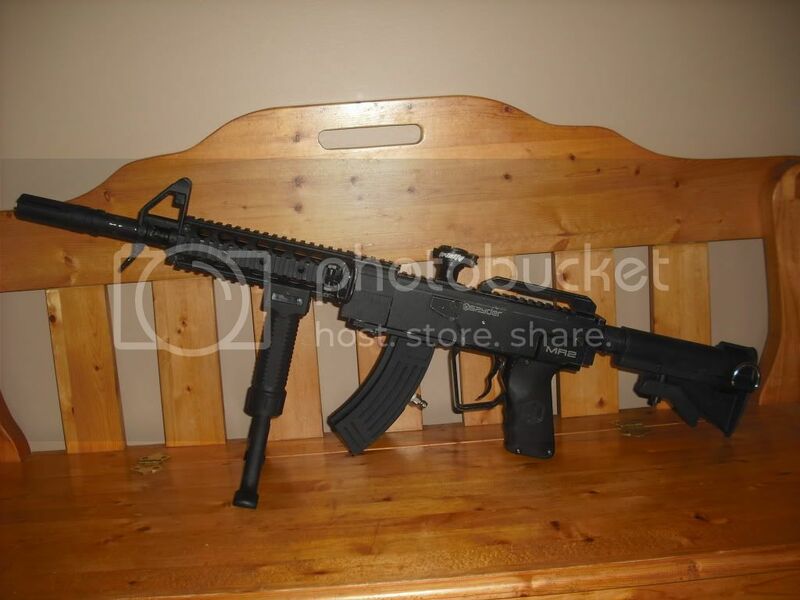 Plus I play with my stock on, so my gun is longer than any real AK, SKS, or anything else like it. But it scares the poop out of people who don't know what it is, and those that do know mark it. It's also much louder than the stock barrel (I like it that way), and you can take the Apex tip off to drop 2" from the gun. Whoa whoa whoa...... Get the J&J Ceramic. If you do decide to get an Apex, make that decision later on. Once part at a time, one problem at a time. 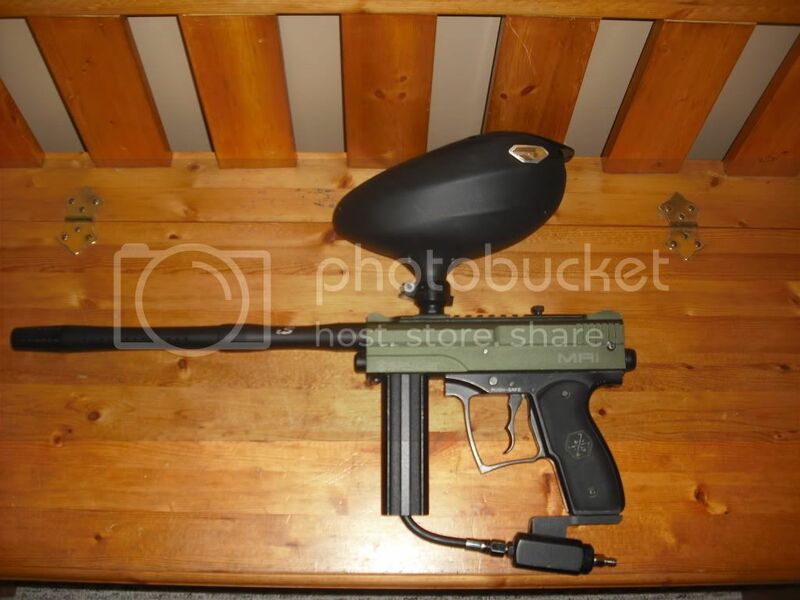 If you're going to get an Apex with a BT barrel, you might as well just get the Apex tip and modify the stock barrel so it'd mount to it. Although they're considered an aftermarket barrel as they are not made by Spyder, the honing and polish are practically the same as the stock barrel. Ditbu, I can do that with ever a barrel-less marker... how? Put the marker right up to the hole. It isn't that hard to make a claim like that via the internet, but experience and veteran status give me the right to say that that is not the case. My advice is get both. 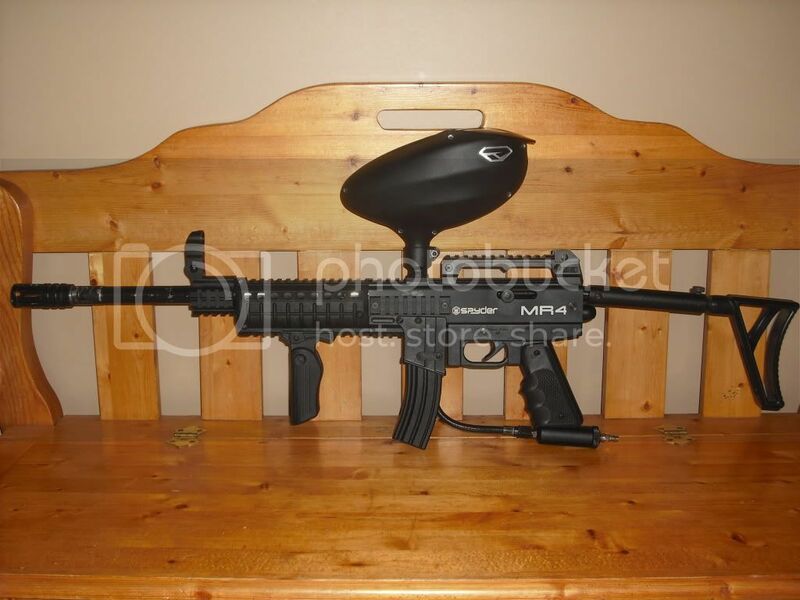 The J&J is faily cheap and the you can take eveything off of the BT M-16 barrel and then put it on the J&J. Thats what I did just make sure you get the 16 inch J&J so it will all fit. ^ I agree a cheep way to do it is buy the apex then watch bst section JJ are on there alot for 10-15$ and it will give you a little time to scrape the cash up. Not to steal the thread, but how do you attach the Apex to a JJ 14"?